Are you spending a lot of time learning how to use your digital camera and getting the results you hoped for? That’s because when you shoot in JPG, you are letting the camera make the creative decisions for you. A digital camera can only read a certain range of light and gamut of color. By using post processing, you are allowing the image to reflect exactly what you saw at the scene, or what you visualized when you took the picture. The trick here is to not over saturate, over sharpen, or generally overdo the editing process so it looks fake or cartoonish. But if that is your creative vision, then go for it. Practice, practice, practice. Take a good beginning course, or get a mentor who can help you with the process. If you are serious about your photography, you will be happy you did.If you are ready to learn more about this powerful program, join me for my Lightroom QuickStart class online or private tutoring in person or by Skype. This is the clearly the other half of creating amazing images. 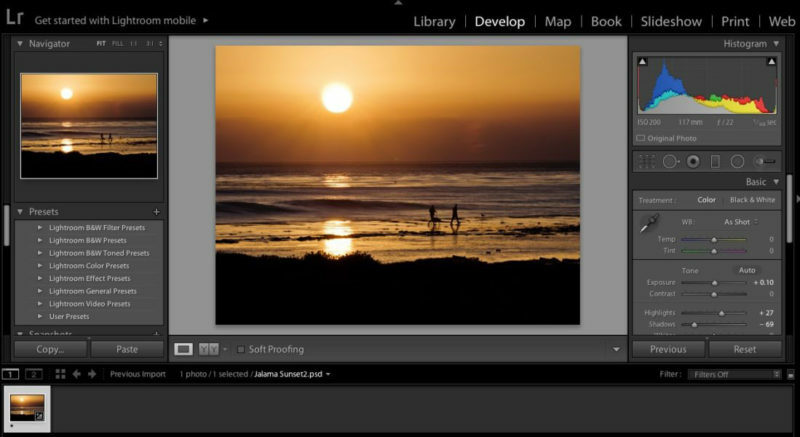 Once you have learned the workings of your digital camera, it is now time to learn how to effectively edit a program like Adobe Photoshop Lightroom.